Year one was a perfect storm of inspiration and adrenaline. Year two upped the stakes and the intensity. Year three? It’s one week away! At the end of 2014, Isabelle Ringer came to me with a crazy, amazing idea (I feel like there are a lot of people out there with great stories that start the same way). I was finishing up my first year as SDDD’s Events Coordinator and still congratulating myself on pulling off Battle on the Bank VII, when Ringer painted the “Jantastic” picture. 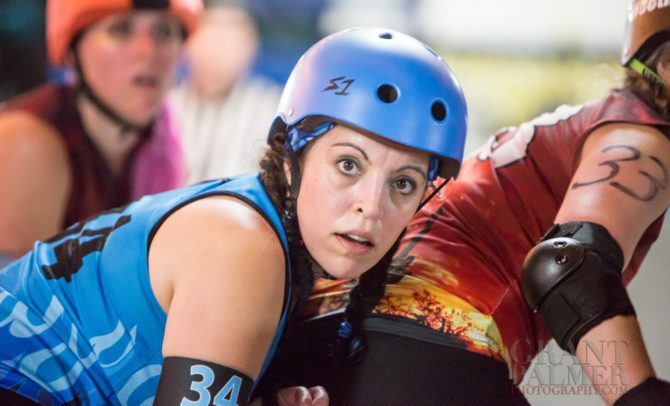 What if we could harness the intensity of WFTDA Champs and the Derby World Cup, along with the fun of RollerCon’s Challenge Bouts? What if we could show the world that very top level of competition and camaraderie on the banked track? Six teams, all mixed from different leagues, all A-level skaters, competing in a banked-track invitational in our house. The mission was both simple and daunting at the same time, show the highest level of banked track competition we can, and pull the whole thing off in three months. The “yes” that followed sent the San Diego Derby Dolls on a path that not only pulled off year one, but saw us grow this event into an established invitational. Now we know how to pull off the event, but we also have our own expectations to live up to. This year, the rosters are a little more supercharged, a couple of new teams are stepping up to the track, and we have an undefeated champion defending their title. The Third Annual Jantastic Invitational is finally here. Saturday will see two pool of four teams competing for spots in Sunday’s games. The first day will be packed with twelve games that will decide which four teams advance. Sunday is the day the top four teams compete for the title, and it’s also the day where we’ll showcase the future of roller derby with a Junior Expo Bout. The amazing thing though, is that the inspiration to work hard comes easy with Jantastic. At its very core, this is an event that reminds me of everything that drew me to derby in the first place. The inspiration I feel when I see these skaters take the track at Jantastic takes me back to those first “I can DO this, I need to DO THIS” moments, and I honestly didn’t realize how much I needed it. So, you see, my Jantastic story is a selfish one. I love this event and am so grateful for the chance to make it happen. 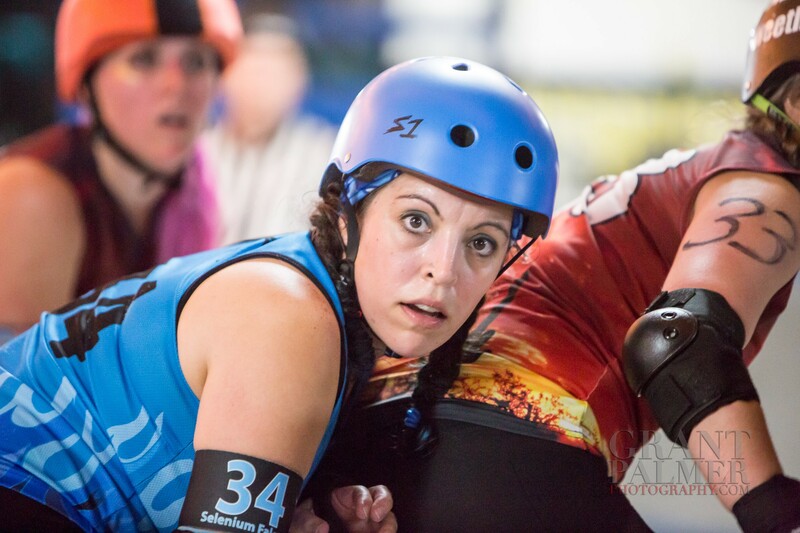 Jantastic embodies everything I love about roller derby. This tournament is about the fiercest competition we can gather and inspiring everyone (from skaters on the track, to viewers in the stands) to reach that next level. This is also about what we can all accomplish when we come together as a team and it makes me so proud to be a part of San Diego Derby Dolls and the Roller Derby Coalition of Leagues. I hope to see you all there, I’ll be the excited one holding a clipboard by the track, let’s watch some derby! The Jantastic tournament includes a total of 8 teams of similarly high caliber skaters, and now in its third year, promises to excite, entertain, and enlighten both fans and skaters alike! Find out more about the Jantastic Invitational here.